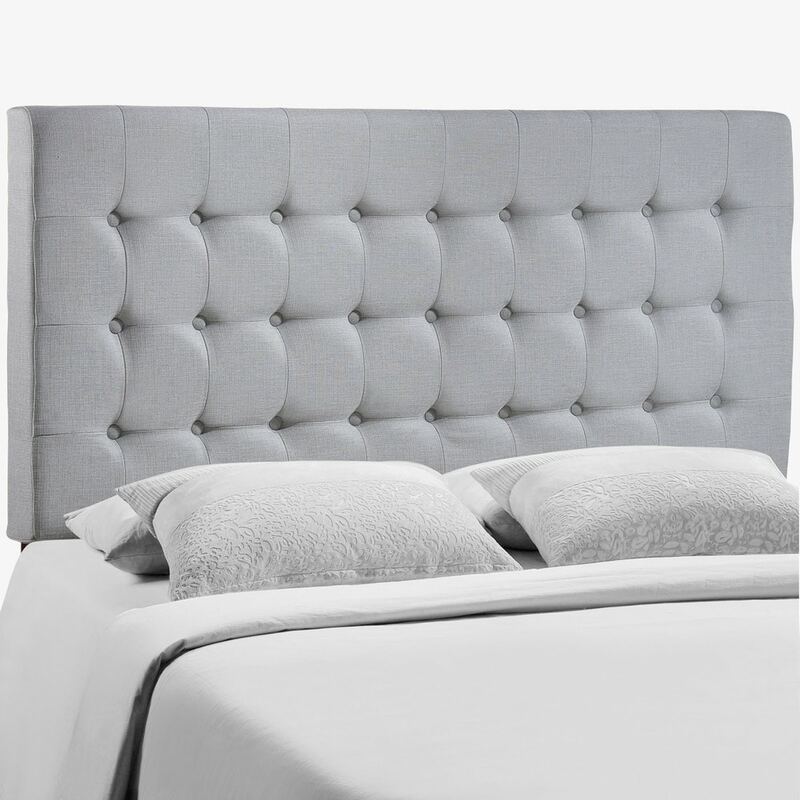 Elegant tufted button headboard. Deep inset buttons. Fine linen upholstering. Fiberboard and solid wood frame.